We have a huge range of spa days in the North West England area all at great prices. Mercure Hotels offer great deals on spa day rates arrivin seven days a a week anytime of the year. llowing you to simply chill out and enjy a tranquil treatments and relax with access to their spa leisure facilities. If you are wanting to completely pampered then we have spa days which include at least two treatments in the North West at the Q Hotels. 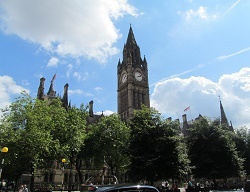 The bustling cities of Manchester and Liverpool are not far away from many of our spa hotels. In the Cheshire area you will also find Cheshire Oaks Outlet Shopping Village. So if you want to combine your weekend away with some shopping then a spa break in the North West is a good choice. With so much to do in the North West of England you may struge to get it all crammed into one day at your chosen venues. If this is the case then why not look into aout overnight spa breaks in the North West.